THE FANTASTIC FOUR-THE LOST MOTOWN ALBUM. The story of The Fantastic Four begins in Detroit, in the early sixties. Ralph Pruitt was walking through his neighbourhood when he heard singing. Curiosity got the better of Ralph. He couldn’t stop himself knocking on the door where the singing came from. The door was opened by James Epps, who introduced Ralph to his friend William Hunter. Soon, the three men were singing together. Just before the three men were about to go their separate ways, Ralph Pruitt asked James and William to join a group he was about to form. They accepted, and that day, The Fantastic Four were founded. 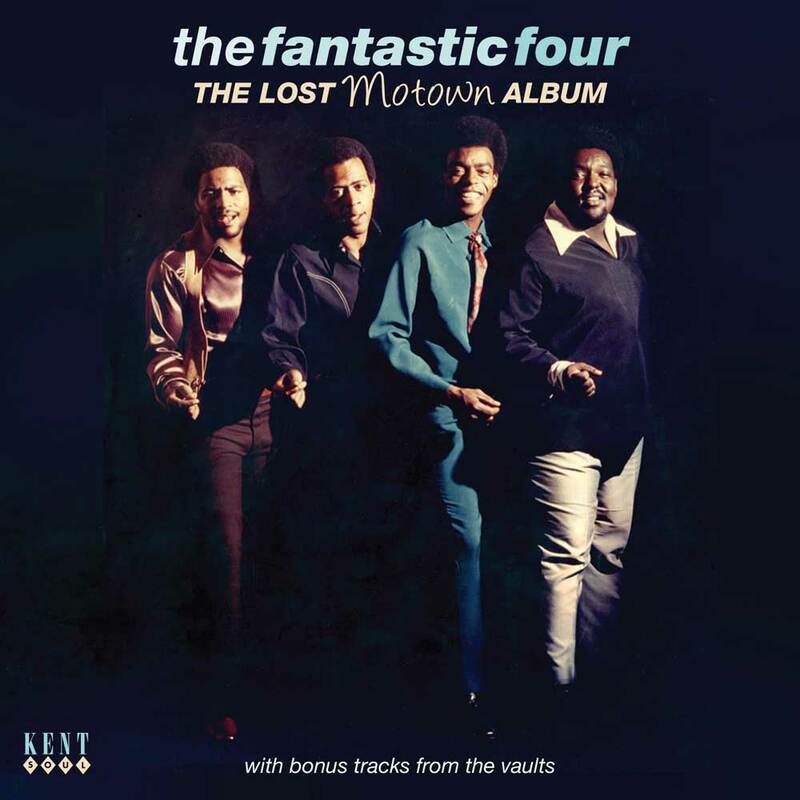 Their music is documented on a new compilation of The Fantastic Four’s music, The Lost Motown Album which was released on Kent Soul, an imprint of Ace Records. Before long, the group encountered a problem. William Hunter was older than the rest of the group. He had a family to support and worked during the day. There was no way he could turn his back on his day job for a new group. Music was a somewhat perilous way of making a living for a family man. What if it wasn’t a success? So with a heavy heart, William Hunter left, and Wallace “Toby” Childs was drafted in as his replacement. With a settled lineup, all that was needed was a name. Deciding on a name for their new name wasn’t easy. Eventually, the four men decided to all write down a name, which was drawn out of a hat. The winning name was The Fantastic Four. So, The Fantastic Four were born and began practising in earnest. Quickly, The Fantastic Four were making progress. Eventually, when The Fantastic Four felt they had perfected and polished their sound, they decided to audition at one of Detroit’s record labels. While Motown was the biggest record label in Detroit, The Fantastic Four decided to try another label. The label the chose, was Ed Wingate’s Ric Tic. It was situated at the Golden World studios, which was home to Ed Wingate’s Ric Tic and Golden World labels. They had been built up by Ed Wingate over a period of time. By 1966, Berry Gordy, Motown’s founder was rattled. He knew he had a serious rival. Despite dwarfing Ed Wingate’s labels, Berry Gordy decided to buy the Golden World studios. It became part of the Motown “empire.” So did some of Ric Tic’s bigger artists, including Edwin Starr. Once these artists had moved to Motown, Ed Wingate was free to run the Ric Tic and Golden World labels as he saw fit. So when The Fantastic Four turned up for their audition, the decision to sign them or not, was Ed Wingate’s alone. However, Pat Lewis, who was already signed to Golden World, advised Ed Wingate to sign The Fantastic Four. When Ed Wingate heard The Fantastic Four, he liked what he heard and signed them to Ric Tic. Soon, they would begin work on their debut single. The Fantastic Four’s debut single was Live Up To What She Thinks was produced by George Clinton. It was released on Ric Tic in December 1966. Although it wasn’t a commercial success, Live Up To What She Thinks showed what The Fantastic Four were capable of. Early in 1967, The Fantastic Four returned with their sophomore single Can’t Stop Thinking Of My Baby. Ric Tic staff producer was drafted in to produce Can’t Stop Thinking Of My Baby. While commercial success still eluded The Fantastic Four, they knew they were on the right road. It quickly became apparent that Al Kent was able to bring out the best in The Fantastic Four. When he took them into the recording studio to record The Whole World Is A Stage. Everything seemed to click. Both Al Kent and The Fantastic Four knew their time had come. That proved to be the case. The Whole World Is A Stage was released in the spring of 1967, and reached number six in the US R&B charts and number sixty-three in the US Billboard 100. It looked like The Fantastic Four’s star was in the ascendancy. No wonder. By 1967, Motown was one of the most success record labels of the sixties. It was home to The Temptations, The Four Tops, The Supremes, Marvin Gaye and The Jackson 5. Motown was a hit making machine. Teams of songwriters, arrangers and producers worked day in, day out to produce hits for Motown’s ever expanding roster. This now included The Fantastic Four. 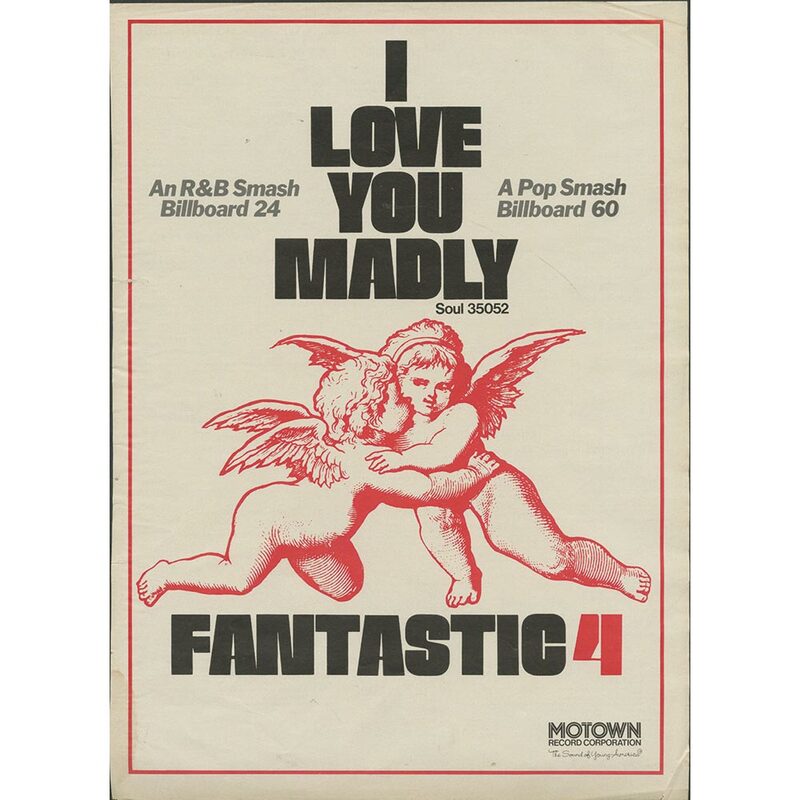 Now signed to Motown, I Love You Madly continued its climb up the charts. Eventually, it reached number twelve in the US R&B and number fifty-six in the US Billboard 100. This vindicated Ed Wingate’s decision to sign The Fantastic Four. Following the success of I Love You Madly, the Motown machine sprung into action. Work began on what was The Fantastic Four’s Motown debut proper. However, it wasn’t Motown’s A-Team of songwriters or producers that were working with The Fantastic Four. Instead, the reserve team got a run out. For The Fantastic Four, this must have been a sobering thought. 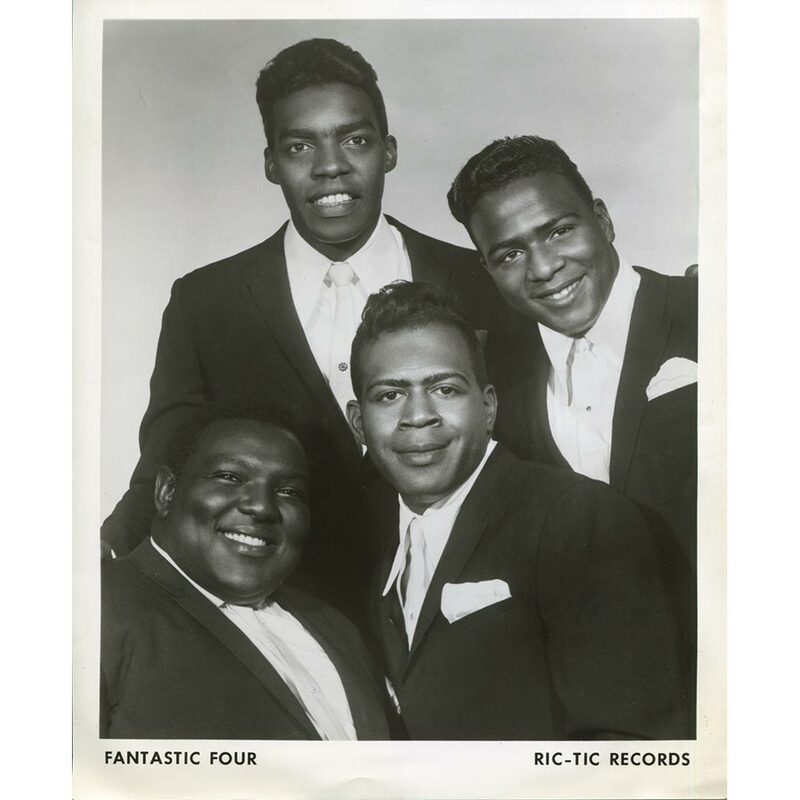 At Ric Tic The Fantastic Four were one of the label’s biggest names. Eventually, The Fantastic Four were ready to record their Motown debut. The song chosen, was I Feel Like I’m Falling In Love Again, which was released as a single on 13th March 1969. It was produced by James Dean and William Weatherspoon. The flip side, Pinpoint It Down, was produced by George Gordy, Berry Gordy’s brother. When Feel Like I’m Falling In Love Again was released on Soul Records, commercial success eluded the single. This proved an inauspicious start to The Fantastic Four’s Motown career. Another six months passed before The Fantastic Four released another single. Just Another Lonely Night on 23rd September 1969. It was produced by Clay McMurray. Just like George Gordy, Clay McMurray wasn’t one of Motown’s top producers. Instead, he was one of the second string. For The Fantastic Four this was disconcerting. They were worried. No wonder. When Just Another Lonely Night was released, lightning struck twice. The single sunk without trace. For The Fantastic Four, they must have been disappointed with how their Motown career was going. Before signing to Motown, The Fantastic Four’s star was in the ascendancy. They had worked with Ric Tic’s top songwriters and producers. At Motown, things were very different. Often The Fantastic Four were competing with other groups for songs. Sometimes the backing tracks had been recorded a year or more before. Occasionally, they been used on other songs. What must have troubled The Fantastic Four was that they weren’t working with top songwriters or producers. If they had, then they definitely had the potential to become a much bigger group. By 1969, that didn’t look like happening. Even though The Fantastic Four had only released two singles, they had recorded much more music. With producer Clay McMurray, The Fantastic Four recorded cover versions of The Beatles’ We Can Work It Out, The Temptations’ Just Another Night, Jerry Butler’s Just Can’t Forget About You Baby and Marvin Gaye and Tammi Terrell’s If This World Were Mine. However, these four tracks were never released as singles. Instead, The Fantastic Four’s next single wasn’t released until 1970. 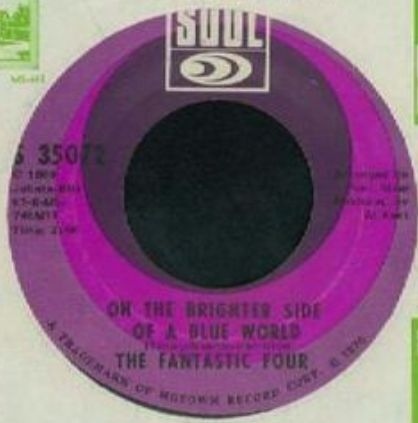 On The Brighter Side Of A Blue World was released as a single on 23rd April 1970, just over two years since The Fantastic Four had released their Motown debut. On the flip side was I’m Gonna Carry On. Both tracks were produced by Clay McMurray. However, just The Fantastic Four’s previous singles, they failed commercially. Little did anyone know that On The Brighter Side Of A Blue World was the last single The Fantastic Four released on Motown. However, nobody realised that. 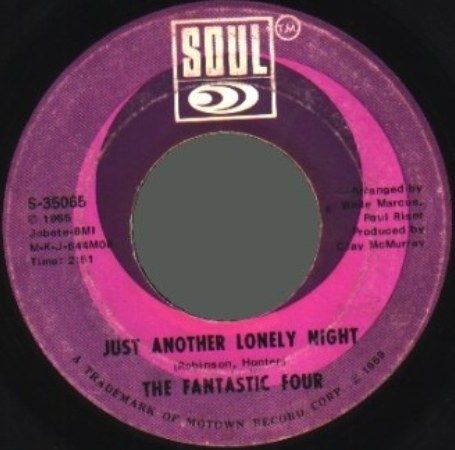 Before the release of On The Brighter Side Of A Blue World, Motown had been making plans to release The Fantastic Four’s long awaited debut album. There was more than enough material for a debut album. So work began on narrowing down this material to twelve tracks. This included the singles I Feel Like I’m Falling In Love Again, Just Another Lonely Night and On The Brighter Side Of A Blue World. They were joined by B-Sides I’m Gonna Carry On and Don’t Care Why You Want Me (Long As You Want Me). Then there were cover versions of The Beatles’ We Can Work It Out, The Temptations’ Just Another Lonely Night, Jerry Butler’s Just Can’t Forget About You Baby and Marvin Gaye and Tammi Terrell’s If This World Were Mine. Other tracks included Take Him Back If It Makes You Happy, and A Little Too Much and Keep On Tryin’ (‘Til You Find Love). These twelve tracks were scheduled to be The Fantastic Four’s long awaited debut album. Recording of The Fantastic Four’s long awaited debut album took place over a period of two years. It was a piece meal project, with twelve of the many tracks The Fantastic Four had recorded chosen. These twelve tracks were given a title, How Sweet He Is, and was scheduled for release in 1971. That was until On The Brighter Side Of A Blue World failed commercially. That was a game-changer. Now all bets were off. 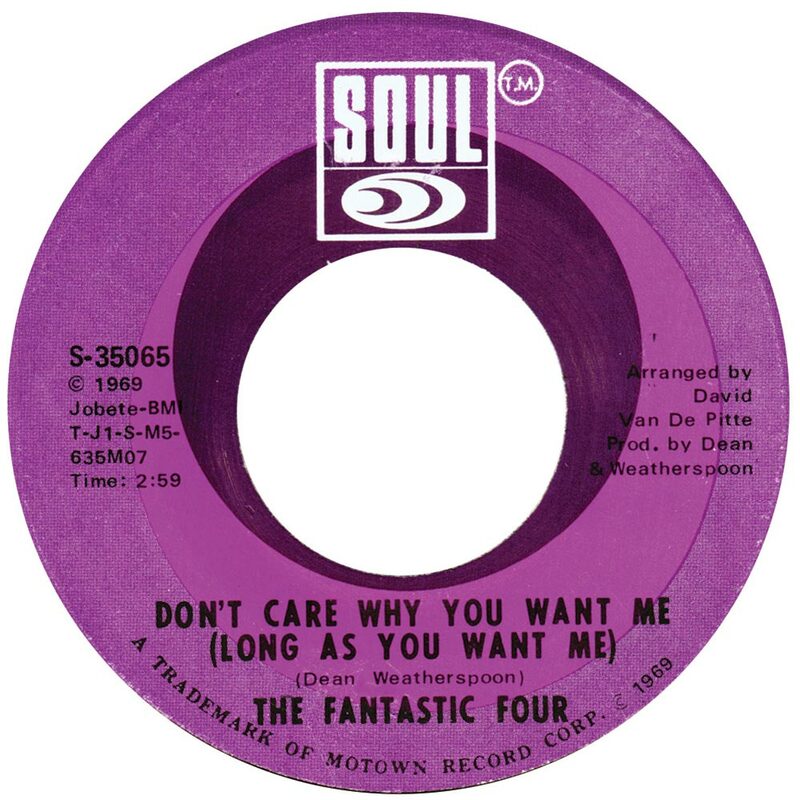 Motown called time on The Fantastic Four’s debut album. It had been scheduled to be called How Sweet He Is. This proved a controversial title. Soon, rumours spread that How Sweet He Is was going to be James Epps’ debut album. Many thought that Motown were ready to focus their attention, and budget on James Epps. While this idea had been considered, it was quickly dismissed. However, that was the least of The Fantastic Four’s worries. By then, tragedy had struck for The Fantastic Four. Around the time On The Brighter Side Of A Blue World was released, Wallace “Toby” Childs died. He was replaced by Ernest Newsome, who previously had been a member of The Volumes. However, by then, Motown had lost interest in The Fantastic Four. When their contract expired, it wasn’t renewed. Since then, The Fantastic Four’s lost album How Sweet He Is has lain in the Motown vaults. That’s until recently. How Sweet He Is was recently rediscovered when Chris Jenner and Tony Rounce were perusing the Motown vaults. Not only did the discover the twelve tracks on How Sweet He Is, but another thirteen bonus tracks. They include B-Sides and previously unreleased tracks. The result is what’s easily, the most comprehensive overview of The Fantastic Four’s Motown years. Belatedly, How Sweet He Is can be heard by soul fans for the very first time. Previously, the only tracks that had been released were the singles I Feel Like I’m Falling In Love Again, Just Another Lonely Night and On The Brighter Side Of A Blue World. They were joined by B-Sides I’m Gonna Carry On and Don’t Care Why You Want Me (Long As You Want Me). If This World Were Mine featured on a compilation in 2008. Two years later, and Take Him Back If He Makes You Happy and Keep On Tryin’ (‘Til You Find Love). However, the rest of How Sweet He Is remained unheard. Nor had the original album been heard as it was meant to be heard. Belatedly, this is rectified on The Lost Motown Album. It’s just part of the story of The Lost Motown Album. 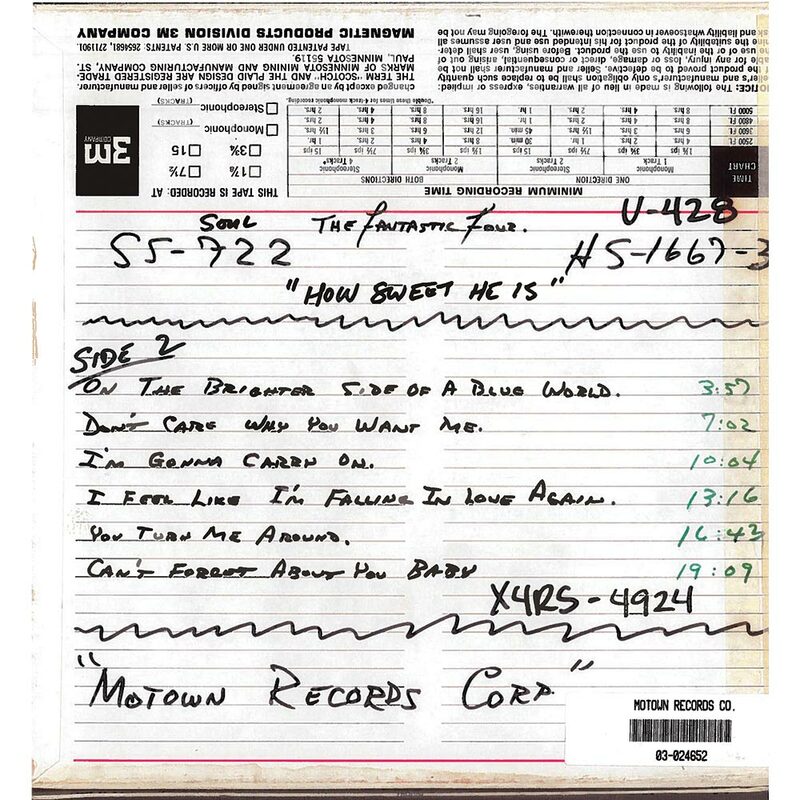 Apart from The Lost Motown Album, there’s another thirteen bonus tracks that were discovered in the Motown vaults. They showcase a versatile and talented group. They’re equally at home whether its uptempo, dancers or ballads. 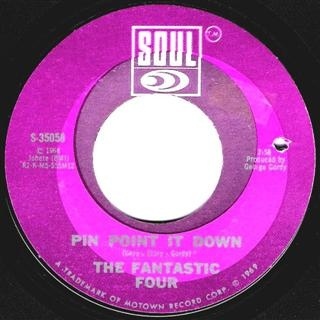 Two of the best uptempo tracks are How Big Is Your Heart and The Temptations’ inspired Pin Point It Down, The Fantastic Four. However, The Fantastic Four come into their own on ballads like I’ve Found My Goal and I Hate Myself For Loving You. They showcase The Fantastic Four at their best. They’re two impassioned ballads. I’m Still A Struggling Man is a real hidden gem, one that makes you wonder what heights The Fantastic Four might have reached with a label that backed them fully. The same can be said of Loving You (Is Hurting Me), with its quivering strings. Despite being paired with second rate producers, The Fantastic Four were still capable of delivering the soulful goods. They breathed emotion and meaning into songs. Sadly, most of these songs have lain unreleased in the Motown vaults until very recently. Thankfully, Kent Soul, an imprint of Ace Records have reissued The Lost Motown Album. It’s a reminder of one of Motown’s forgotten groups. They went from riding the wave of success at Ric Tic, to the forgotten men of Motown. The Fantastic Four were always paired with second string producers. Despite being behind the black ball, The Fantastic Four punched above their weight. So much so, that one wonders what heights might The Fantastic Four have reached if Motown had backed them fully? If Berry Gordy had ensured that The Fantastic Four worked with Motown’s top songwriters and producers, they may have gone on to rival The Temptations and The Four Tops. That sadly, wasn’t the case. Instead, The Fantastic Four became the forgotten men of Motown whose debut album has lain unreleased for forty-five years. Now that The Lost Motown Album has been released, it’s a welcome reminder of just how talented The Fantastic Four were. Their story is a case of what might have been? ← TAMPA RED-DYNAMITE! THE UNSUNG KING OF THE BLUES.